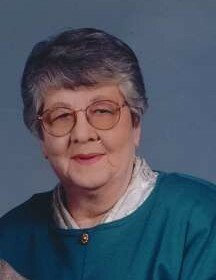 Struthers - Rachel V. Garchar, 93, died early Friday morning, March 29, 2019 at Assumption Village. Rachel was born October 31, 1925 in Youngstown, a daughter of George and Ruth (Bowery) Romack. A lifelong area resident, Rachel was a graduate of South High School. On October 27, 1945, she wed Lawrence C. Garchar, and they were married for 68 years until he preceded her in death on August 26, 2014. A dedicated homemaker, wife, and mother, Rachel and Larry made their home in Struthers, where they raised their five children. She was a member of Christ Our Savior Parish at Holy Trinity Roman Catholic Church in Struthers. In her free time, Rachel enjoyed crocheting, especially afghans and scarves, and collecting cow memorabilia throughout her life. Mrs. Garchar is survived by her five children, Jeff Garchar of Youngstown, Susan Frost of Medina, David (Norma) Garchar of Struthers, Rebecca Arehart of Struthers, and Mark Garchar of Struthers; nine grandchildren; twelve great-grandchildren; and her faithful companions, Obie and Tucker. In addition to her parents and husband, she was preceded in death by her sister, Grace Pemberton; brother, George Romack; and son-in-law, Barry Frost. Per Rachel's request, there will be no calling hours or services. Private entombment for the family will be held at St. John the Baptist Catholic Cemetery.